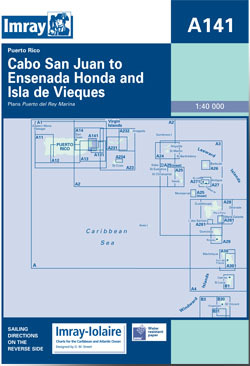 The east coast of Puerto Rico from Cap San Juan to Ensenada Honda and Isla de Vieques. Scale: 1 : 40.000. Flat chart, water-resistant paper.